We have all seen them clinging to our plants, fences, and even trees. They start out small but rapidly grow in size to cover entire landscapes. Yes, I am talking about the Air Potato Vine, (Dioscorea bulbifera). This heart-shaped vine is found in just about every garden or landscape. When left unchecked, this trailing vine can grow over eight inches a day to seventy feet in length. The more of these vines you have in your landscape, the better the chance you will have of losing the plants this vine clings to. In this article, I will tell you about a FREE biological control for this intrusive vine that you can order online and have delivered right to your home. Since 1993, the air potato has been identified as one of the most invasive plants we have that can also disrupt the natural flow of wind and water. Air potatoes have unceremoniously made Florida’s, 2017 Exotic Pest Plant Councils “Category 1” list, of the invasive plant species. This non-native vine spreads by twining itself to available foliage and then climbing to the canopy of trees increasing the plant’s wind resistance. The dense coverage of this vine is also responsible for the sharp decline of native vines and foliage. As wind speeds increase, or when thunderstorms pass through an area, the additional twisting and turning of their limbs can cause them to break and fall to the ground. These vines can then re-root and start the process all over again. Additionally, scores of potato-shaped aerial tubers can break off the vine and fall into neighbor’s yards and begin to grow. Aerial tubers closely resemble yams or small potatoes. These tubers are produced in the axils of the leaf, and a typical stem could support dozens of these. People trying to remove the vines tend to dislodge the tubers, which fall to the ground. You need to make a concerted effort to collect these tubers, or they will root and begin to cover your plants again. Do not add the tubers or the foliage to your compost pile. All parts of the plant should be bagged and put out for collection. Some people have asked if they can eat the potatoes. The simple answer is no. Even though these vines and their tubers are related to a yam, these tubers are very toxic and should not be consumed. Follow the vine back to the ground to locate the below-ground tubers. I have dug up dozens of these tubers, some of them weighing up to six pounds with multiple vines emanating from a single tuber. Spraying with products like roundup, are little help in controlling these pesky vines. I have tried to kill these vines by pulling some of them out of trees and soaking them in a bucket of Roundup. I hoped the roundup would be absorbed by the plant and kill the entire vine. Although I did get some dieback, I was unimpressed with the control level. There was always too much vine and not enough roundup. There is a new solution you need to try. The University of Florida in conjunction with the Department of Agriculture and Consumer Services has come up with a natural bio-control solution for these vines. They have released over six hundred thousand predator beetles, which were found in China and Nepal. Since the release of these beetles, many air potato vines have been decimated and populations of these beetles have been rising in areas that they have been released. The air potato vine is the only food source of these bright-red beetles, so you do not have to worry about them moving to other crops. Air potatoes can take over your landscape very quickly and cover your native plants. Even large trees can be taken down once covered by this non-native vine. Order your free beetles from the Department of Agriculture and release them in your yard to protect your landscape from this exotic pest. 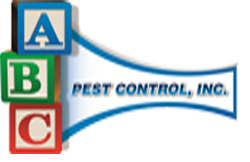 Natural pest control is the best way to combat this problem, and you can now be part of this control plan. Keep ahead of the problem by being informed and remember, without plants, we would not be here!